More than being merely a passion, watchmaking has always been a driving force for me to study individual style in great details. This is because no matter how often people change their clothes to look a certain way, they would seldom take risks with their favorite accessories to pull off a style. A watch can be the ultimate accessory that provides cohesion to an entire look from head to toe. And if you’ve got the right one going on, even the wrong shoes won’t be able to spoil the broth for you. And that’s good for us because the present times are seeing an uprising of just the kind of watches that one could ever require to put the ultimate icing on their look. 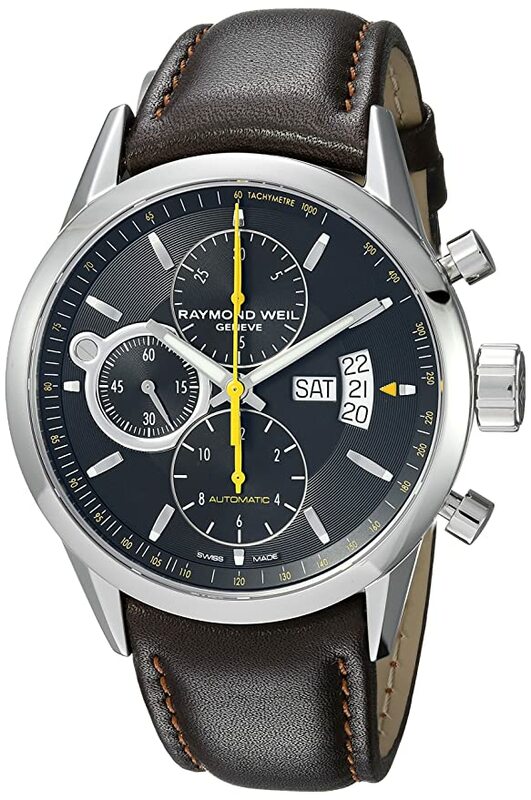 One such brand that has brought in a flurry of incredibly suave watches is Raymond Weil, and just as you hear the name, you know what exactly I’m gonna bring to you! And today I’m gonna be taking you on a walk through an extensive review of the Raymond Weil watches. 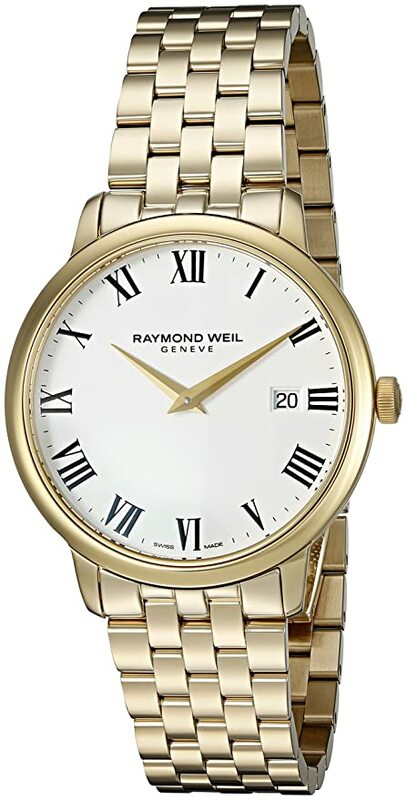 Established in the year 1976 by Mr. Raymond Weil in Geneva, Switzerland, the brand is known to be one of the youngest Swiss watchmakers out there today. Even when there had been a great crisis in the Swiss watch industry around that same time due to a craze for Quartz / Battery movements, the brand stood its ground under the visionary influence of its maker who strove to open an array of authentic Swiss watches for the world. The brand is powerfully influenced by classical music that finds beautiful expressions in editions like the Mozart Collection, Fidelio, Traviata, and Saxo from the company. Also, new collections such as the Parsifal, Tango, and Tradition are hailed as one of the most stunning lines from the brand that directly makes their way into the collectors’ editions. One of the things that did catch my eyes regarding this brand was that all of the watches possess the signature style and structure achieving a brilliant balance of elements in each piece, no matter in whatever price range they belong to. This reflects the care and superior craftsmanship of their makers who don’t differentiate when it comes to consistency in quality control. And this, according to me, is a substantial mark of a reputed brand. I have known this brand for quite some time now, thanks to the name and fame it has lived up to. I have also traced its progression, development, and success over the years. And I must say that this is one brand that has carved a niche and reputation out for itself in the game by its sheer hard work. I currently own two timepieces from RW. One of the watches that I have is the Parsifal black that comes with a bright, easy-to-read black dial with a “coordinating crown” having the letters “RW” etched on to it. This is a stunning black watch with large, luminous Roman numerals on it showing you the hours, minutes and seconds in three separate subdials. 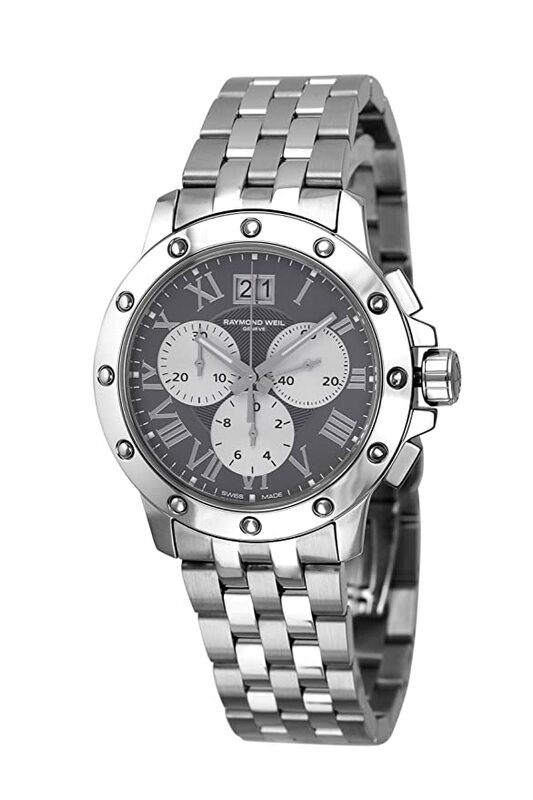 The chronograph function of this watch has got a 60-seconds, 30-minutes and 12-hours subdials. The Parsifal black has a “fold-over” clasp design with a “safety-release” that keeps it secure on the wrist. Performance-wise, this watch is indeed awesome, although some may find the dial face to be a bit “crowded” for that matter, and it’s a pretty heavy watch to wear. The second watch from the brand that I own is the Freelancer Casual, which has a more “sporty”, casual and relaxed look to it, but it does manage to look pretty sophisticated at the same time. This is what I like about it the most! The watch possesses three subdials that stay secured in a scratch-resistant, anti-glare sapphire crystal casing, featuring a “tachymeter bezel” and a day and date display. It has a water-resistance level of up to 330 feet. It has the same kind of clasp and “double-push” security feature as that of the Parsifal, and it is immensely durable against sudden impacts. It is a lightweight watch that can be used for regular wear and it works as good as the previous watch owing to the Swiss movement mechanism in the system. 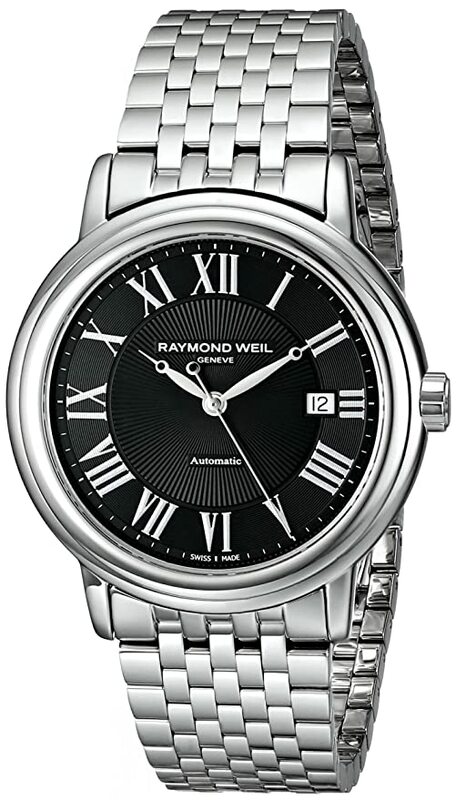 The watches from Raymond Weil are undeniably some of the coolest watches that you can get on for every occasion. These also make for ideal gifts to your loved ones. However, some of the issues that I have had with the watches can’t really be overlooked, unfortunately. An, if you do decide to get these watches, it’s better for you to know what to look out for. These are definitely way higher in price than most other brands which could give you a wider collection at more reasonable prices. Even though the watches are water-resistant, the bezels can fog up a bit on the inside if kept in a considerably humid or moist environment. The wristbands are nice with the security clasps doing what they should, but the straps themselves could have been of more durable quality. 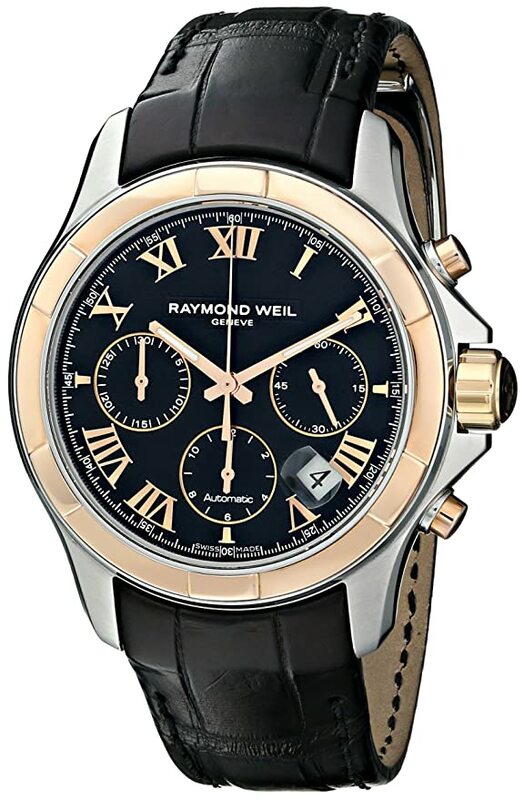 So this was all about my experiences with two fine watches from the Raymond Weil brand of watches. And apart from a few minor flaws here and there, I do like these pretty much along with the fact that I’m wearing a brand that has my own name to go with it. Hope this was a useful read.